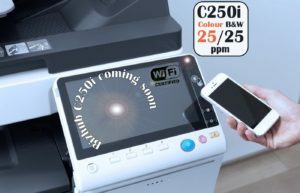 C250i is coming soon! Call us to pre-order! Total cost £238 per month. Total cost £346 per month. 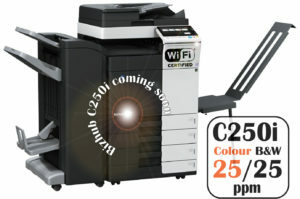 Get a free Konica Minolta Bizhub C250i, you just pay for the copies! Printing high quality, high-resolution B&W prints and copies at up to 25 ppm, this MFP also offers optional single-pass dual scanning up to 160 originals per minute. 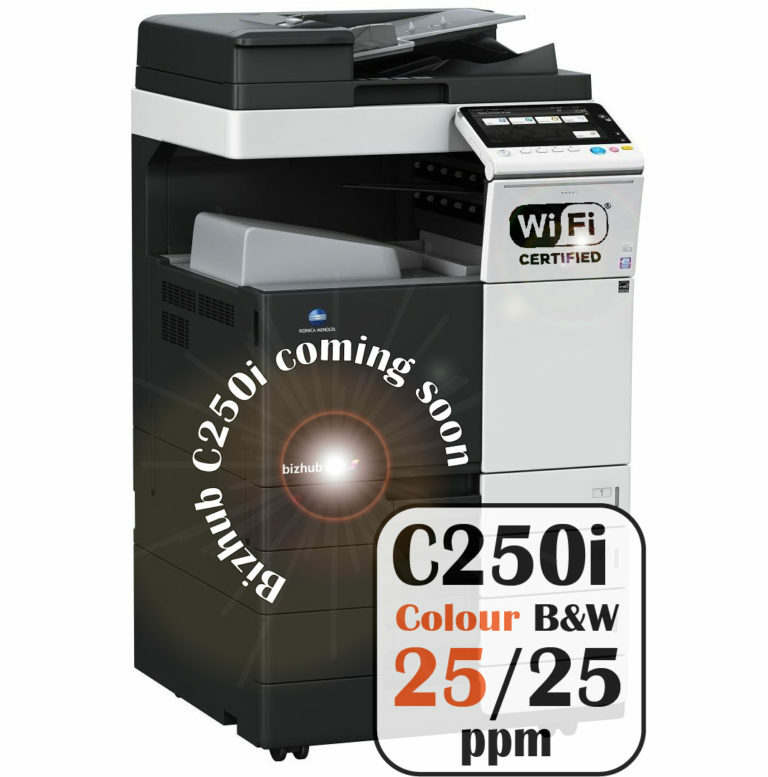 Count on the Konica Minolta Bizhub C250i for more productivity. From prints and copies at up to 25 pages per minute to the added convenience of Konica Minolta’s revolutionary new INFO-Palette “touch and swipe” control panel, this is one multifunction printer fax that will put your office on the fast track to productivity. 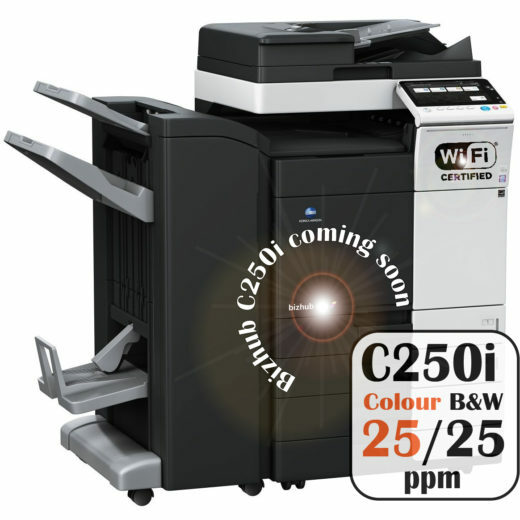 The Konica Minolta Bizhub C250i is a multifunction printer fax that works smarter. Printing high quality, high-resolution B&W prints and copies at up to 25 ppm, this MFP also offers optional single-pass dual scanning up to 160 originals per minute. Konica Minolta’s revolutionary INFO-Palette design includes a large control panel that contributes to better productivity, information sharing and streamlining office workflow with efficiency. Plenty of powerful finishing options let you produce more documents in house and on-demand right from your multifunction printer fax.